Its been coming for months. Sort of like the rain in Cape Town, our straps have been waited on and it’s finally time to launch our attachable straps! 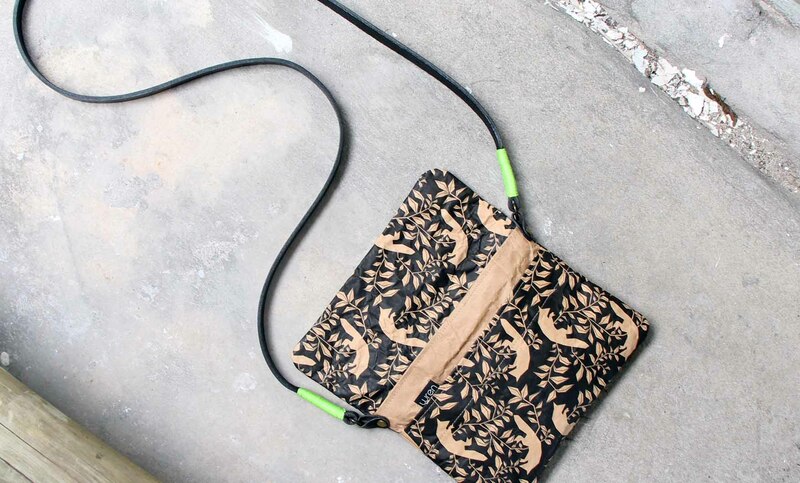 Transform your mini sleeve into the most practical clutch you can imagine by adding a wrist or shoulder strap. We even tested out adding straps of the laptop sleeves and it works amazingly! What held us back before was trying to work out how to add straps without changing the silhouette of the product, how to make the straps that fitted with the look and feel of the product and how to create a new product that enhances the current without it being a completely new production. Like all things with Wren, the answer came out of the connection of experiences. Theses experiences were travelling to Japan and discovering screw-in rivets and at the same time being annoyed that I had to carry my mini sleeve with my wallet and phone in around with me. I wished I had a strap allowing me to be hands-free! Somewhere along the line I was given a leather and thread-wrapped lanyard that stuck to the magnet of my mini sleeve and I reflected on how good the two colours and materials worked together. I wondered, could this be the strap I’ve been searching for? And going for breakfast in Simonstown where I met a crafter wrapping leather with thread. The magic of creativity happened and I thought: punch an eyelet, make the straps like the lanyard and attach the strap through the eyelet with the screw-in rivet. 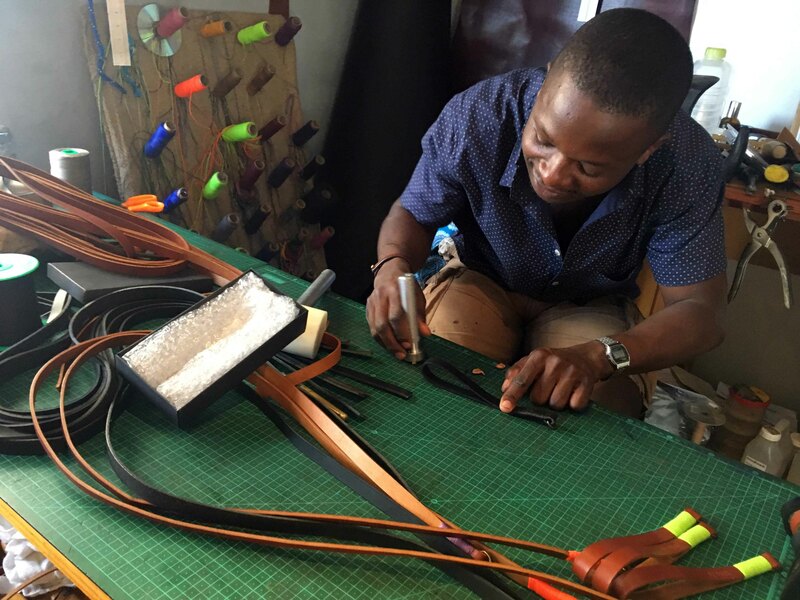 I tried it and it worked and together with Aflred we started cutting, polishing and wrapping leather straps! This all sounds pretty simple right? I thought so too but alas, screw-in rivets to fit inside small eyelets had to be specially made, suppliers in South Africa were out of small eyelets and Alfred left the country. But that is what entrepreneurship is about – overcoming these hurdles. We can now cut and wrap leather in our studio (every one of us can make them) and they are truly handmade. We all use a sleeve with a strap and love it! The choice to mix and match according to your outfit adds to the fun of selecting a printed sleeve and strap colour. Basically, we LOVE this new addition to the Wren range and hope that you do too. To make the screw-in rivet secure, add a touch of super glue to the thread and it will not come out ever. The eyelet is punched just above the brushed cotton interior of a sleeve ensuring that your device will not get scratched by just being in the cover. This entry was posted in Blog and tagged bag straps, cement paper, clutch, Craft, folio, leather, paper, shoulder straps, sleeve, transform.